Home Office Setups by the Book(s)! Whether you’re working from home to start your own business, or your full-time job has given you the thumbs-up to operate remotely, you will need to set up a fully functional workspace. If the related expenses fall on your shoulders, this does not have to be a costly proposition. If you need to establish boundaries between you and other members in the household, with a little negotiation this is usually not a deal-breaker. Overall, the advantages of setting up shop at home far outweigh the challenges. And if you need a little guidance to make this transition run smoothly, there are a number of resource books by authors who have become experts in this field. Office that works . . . 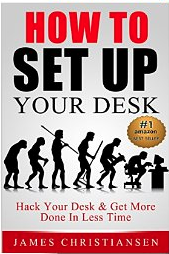 In their updated 2015 edition, this is a practical step-by-step guide for not only setting up and working from your home office, but it also offers up some very savvy tips on time management and avoiding some of the distractions home workers have to deal with on a daily basis — namely those who cohabitant with you like friends, family members and pets. Dr. Webb started as an Internet-based research business in 1995, selling to a multinational publisher in 2000. He is a doctoral graduate in industrial and corporate education from New York University. Richard Romano has been a professional writer and editor since 1990. 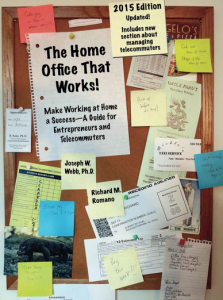 He began collaborating with Dr. Webb in 2000, writing market research reports and officially launching a home office himself. The authors draw on their combined 40+ years of working at home, with a long list of tips and strategies for maximizing at-home productivity. 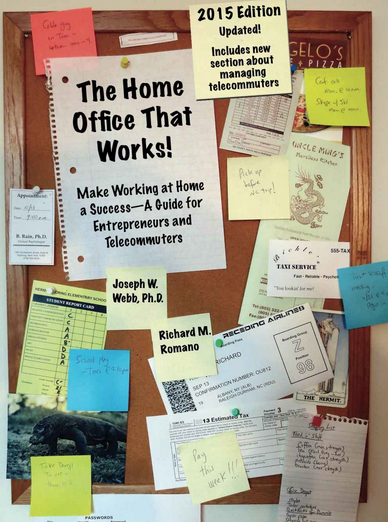 From physically designing a dedicated work space in your home, to handling long-distance interactions and collaboration, office technology, navigating healthcare options and tax planning, to promotion and networking, “The Home Office that Works” is an indispensable guide to your work-at-home life. And the 2015 edition includes updates about selecting and managing telecommuters, and many of the new cloud computing resources that can streamline bookkeeping, document and file management, and collaboration. This how-to is a great resource for organizing space, particularly if your work quarters don’t come with a lot of square footage. It’s for individuals who are challenged by keeping your ‘work stuff’ organized and clutter-free. The book is a steal on Amazon selling as low as $3.00. A little Feng Shui perhaps. . . If you want some tried-and-true methods, ‘feng shui’ the ancient Chinese philosophical system of harmonizing everything in your physical environment has stood the test time . . .in fact, some 3500 years! 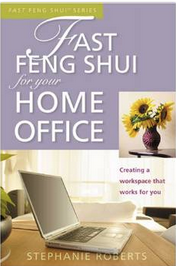 So using Stephanie Roberts book, titled, “Fast Feng Shui for your Home Office,” even though it was published in 2006 should not be a deterrent, as she relies on some reliable basics, which have been around for generations. In addition, Roberts is the author of the Fast Feng Shui book series, the Pocket Idiot’s Guide to Feng Shui, and Clutter Clearing from the Inside Out. She is a graduate of the first fully accredited professional feng shui training program in the U.S., and has studied with many leading masters of both contemporary and traditional feng shui. Her books are read in over 30 countries, and might be just the ticket for aligning your inner spirit with your external workspace. Common themes seem to surface and weave themselves in all three of these books. High on each one of these authors’ priority list are some essential items that won’t cost you an arm and a leg [aside from the obligatory computer]. Computer~ preferably as current as you can afford, or at least powerful enough [with enough GIG memory] that will last you for a good number of years. Generally a desktop unit is better than a laptop or tablet for long-term use, so this investment will need to include a monitor and other peripherals. Multi-function printer~ laser is cheaper in the long run, but inkjet are less of an upfront investment. Balance your budget and find out what works best for you — particularly since there are ongoing costs with ink cartridges. Telephone~ this can be anything from your cell phone to a digital calling system like Telzio’s VoIP system [starting as low as $1 per month], which will provide you with all the bells and whistles your business clientele have come to expect. Desk and chair~ need to be durable and the right size for your space. The chair needs be ergonomically designed to provide you with the proper back and lumbar support to release stress and not incur any neck strain. This is a case of ‘buying up’ for long-term comfort. Storage space~ cabinets, shelving units and modular storage are a few options – just make sure you can keep your space clutter-free, and designed with a feng shui feel [see book recommendation above for more on this]. Memo board~ because sticky notes are still super effective and serve as a visual reminder for keeping you organized. Disposal units~ depending on your LOB, you should purchase a number of trash receptacles in your office, within easy reach of your desk and workspaces – and it’s wise to separate the recyclables, while reserving your apartment’s or home’s kitchen for food refuse. 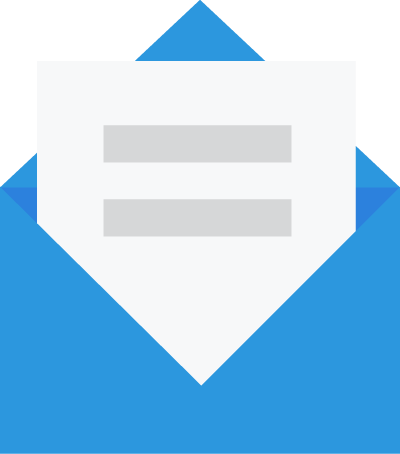 General office supplies~ printer paper, ink cartridges [see printers above] pens, sticky notes, staples, scissors, envelopes, postage, etc – again, whatever is appropriate again your LOB. Settling in . . .
As you settle into your new office space, it can be tempting to start using it as a retreat. However, research has shown using your office for more than what it was intended can actually hinder the productivity you need to achieve. And while working from home often means long hours and late nights, it’s very important to keep your workspace separate from your living space. It makes it a lot easier to unwind after a long day of hard work. Setting up your office may be a job onto itself, but it’s one that will definitely pay off with a little forethought. Hopefully the resources provided you today will ease some of the initial burden of getting set-up and organized.